S. douglasii, with two compressed whorls of three leaves. Plants of the alliance have leaves in pairs or (infrequently) leaves in whorls of three. S. douglasii has two compressed whorls, which appear to be a whorl of six. A few species of the Corytholoma group have leaves which appear to be borne singly at the end of a petiole-like stem. 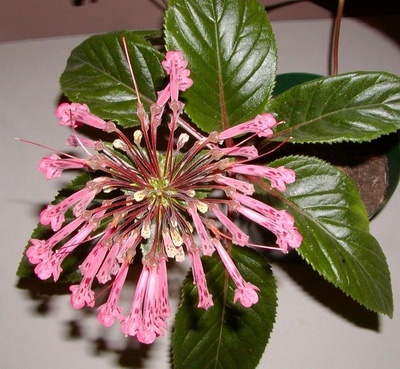 Most plants of the alliance have hummingbird-pollinated flowers. This results in a common theme: red tubular corollas. There are a few species pollinated by bees and these have white, cream-colored, or lavender flowers. Two or three species are pollinated by bats and have large, sturdy flowers with prominent markings. S. tubiflora (left) is unusual in the Sinningias, in that it has large white night-scented flowers, and is almost certainly pollinated by a long-tongued moth. 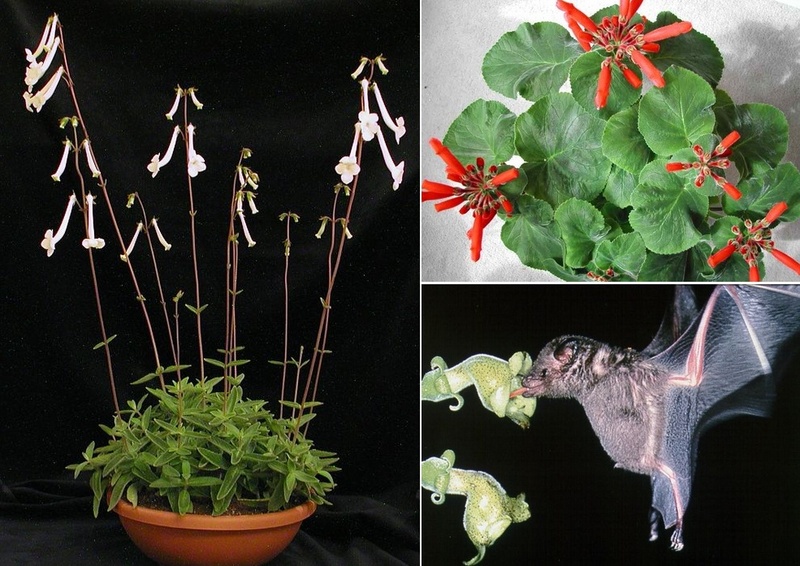 S. cardinalis has typical red tubular flowers, which are hummingbird pollinated, but Paliavana prasinata, with its large, sturdy green flowers, is bat pollinated.